Cloud technology has changed how users and developers think about applications. Why buy servers and maintain software if you can pay per use? Why build applications from scratch if you can make use of existing frameworks and software? Why configure web servers if all you want to do is make a simple web page? Developers and users are now empowered to think about the higher-level applications and services, rather than the underlying machinery. So far, this re-thinking has been limited to end-user applications housed in data centers. The network connection between the data center and the end user has been left out of the equation. However, service providers must find ways to couple high-performance networks with cloud and content providers in order to participate in current revenue streams. Why have they not yet applied cloud technology to accomplish this? In short, the network is complicated, especially at the metro edge. While data centers are closed systems, where devices tend to be very similar and operated by the same entity, the metro edge is the “Wild West” of disparate technologies and myriad operators. 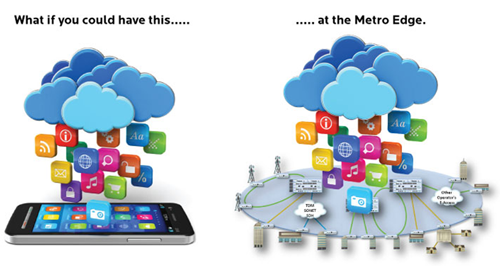 Given this complexity, how can cloud technology simplify how we deploy and manage the metro edge? How can they simplify, accelerate and build services that traverse the edge? The answer involves virtualization, openness, focusing on services and thinking differently. The key points of virtualization are abstraction and separation/layering. Separation/Layering - The notion of layering allows a well-defined interface, which can then be used to separate functions. Separation lets us move functions to where they make the most sense. How can virtualization be applied to the metro edge?. The Metro Ethernet Forum has identified the virtual Network Interface Device (vNID) Service as a case where virtualization would be beneficial and is within reach. Today, when one service provider accesses a customer via Carrier Ethernet using the facilities of a second access provider, it is likely that both providers deploy a NID. With the vNID service only the access provider would deploy a NID, and the end-to-end service provider would access aspects of the NID as if they had their own NID (i.e. virtualization is used to present the appearance of two NIDs when only one physical NID is present). This reduces the expense of deploying Ethernet service, while maintaining end user service assurance. Network Function Virtualization (NFV) is another way that virtualization can be applied to the metro edge. NFV is an initiative driven by an international group of leading service providers to lower costs and simplify networks. NFV replaces purpose-built network devices with software applications running in a standard server. Managed routing: Today service providers use routers deployed at the customer site.. In particular, RFC 2547 Layer 3 VPNs are built using this approach. This adds cost and complexity to the deployment of the services. NVF provides the means to simplify the CPE (Customer Premise Equipment) by moving the routing protocol from the CPE into the network. Now, value-added services such as managed routers and Layer 3 VPNs can be added on demand without changing the CPE. Service assurance: Network Interface Devices (NIDs) are deployed at customer sites to facilitate measurement of service parameters using Service OAM (Operation, Assurance and Maintenance). This adds cost because configuration of SOAM is a nightmare in today’s network. NFV could apply abstraction to the NID and its MEGs (Maintenance Entity Groups), MIPs (MEG Intermediate Points) and MEPs (MEG End Points), and support the creation of applications to configure these functions. The result would allow back office systems to treat service assurance as a utility, monitoring how the service is performing against its SLA (Service Level Agreement). Managed security: Today, managed security applications are implemented either in dedicated hardware at the customer site or in servers at central offices. Network hardware could provide some basic filtering and capture capabilities enabling complex aspects of these applications (such as policy definition, storage and distribution) to be moved to a separate application. Analytics: For service providers, the majority of analytical data is generated in the edge of the network, but gathering it may require a dedicated appliance. Each service provider also has a different view of what data is important, as well as how it should be packaged. The NFV model provides a means to limit the network hardware to collecting basic data and moving the processing to an offboard server. These applications are prime candidates for applying the principles of NFV, although concerns about reliability and environmental compatibility remain. In addition, new requirements will be placed on network equipment. Effective network elements won’t be truly “dumb”. The key is to maintain essential physical and data processing elements in a carrier-grade product, while moving many value-added functions into commercial-grade hardware, controlled by software in an open fashion. Having worked in the embedded software business for a long time, I know the skills required are specialized and uncommon. What’s more, the compute and storage resources are constrained inside a network element, and the tools for embedded development are limited. Any change to the software involves a large-scale and expensive download and upgrade cycle, possibly requiring a service outage. Development of cloud-style applications is quite different. There is a large pool of talented software developers, compute and storage resources are plentiful and inexpensive, and development tools are sophisticated. Since the software is usually running in a replicated server in a data center, upgrades are easily managed and can easily be undone. A critical aspect of cloud development is the use of applications developed using open interfaces and standard protocols. Cloud-style software facilitates code reuse and construction of large systems composed of multiple smaller pieces. Interoperability is achieved through well-defined Application Programming Interfaces (APIs) that support interaction between systems at a black box level. Open cloud-style applications can be developed more quickly and less expensively than embedded applications. And, the open and extensible nature of cloud-style applications means consumers of these applications can themselves build larger applications that leverage and extend the base capabilities. Applying cloud technology to the metro edge of the network will require changes in how service providers create, activate, and assure services. Service creation – Replacing complexity with a simple programming model, schema, and tools drastically reduces development time and cost of new features. Reducing the cost and time to develop new services will let a service provider be more responsive to customers and market trends..
Zero-touch commissioning – Enabling a technician to install a device straight from the box, without need for local configuration. Flow-through provisioning – When an order goes in for a service, flow-through provisioning automatically propagates the needed changes down to relevant network elements. Instantiation of virtual appliances – Turning up services such as routing, firewall, security and VPN without installing new physical equipment. Network optimization – As services are turned up and down, available capacity in the network changes. Automating network optimization based on changes maximizes use of network resources. Service assurance – Ethernet Service OAM (SOAM) is the preferred, but inherently difficult, way to measure key SLA parameters such as packet loss, latency and latency variation. . Service providers must also make provision for handling hard faults such as power, equipment or facility failures, as well as degradations signaled by Threshold Crossing Alarms. Finally, there must be an efficient way to diagnose, sectionalize, and repair faults when they occur. All of this is handled today using a variety of disparate and isolated tools. What is needed is an efficient way to tie them together to achieve benefits such as automated configuration, proactive performance reporting, and automatic fault isolation. The changes discussed above are large, but even bigger is the need to think differently. People Are Mobile; Services Should Be Too: We need to consider issues like authentication, security, peering, replication, policy, and multiple platforms when considering how to build services. 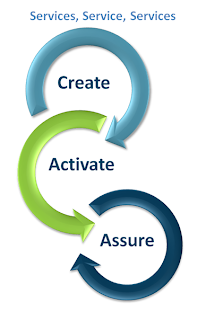 Doing so is consistent with cloud-style development models and will support the creation of ubiquitous services. Services, Not Pipes: Service providers must find ways to couple their high-performance networks with cloud and content providers in order to participate in current revenue streams – more focus on the end service or application the user is buying. Roles and Systems, Not Boxes: Stop thinking about installing nodes in a network and start thinking about enabling services whose elements play various roles but which can be instantiated both in network elements as well as using cloud resources. People Are Bad At Being Robots: People are inefficient at handling repetitive and mundane tasks. Applying cloud technology will help define new solutions to automate processes, which, in turn, will lead to greater efficiency by allowing people to focus on their creativity and problem solving skills. We have an opportunity to enable the next generation of services by applying cloud technology to the Metro Edge of the network. Doing so will require applying cloud technology and the supporting technologies of SDN and NFV. This is a big change, but the benefits will be even larger. 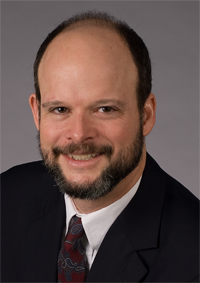 Prayson Pate co-founded Overture and brings more than 24 years of experience developing software and hardware for networking products to the Company. Prayson is active in standards bodies such as the MEF and IETF, and he was chosen to be the co-editor of the pseudowire emulation edge-to-edge (PWE3) requirements and architecture documents (RFCs 3916 and 3985). He holds nine patents.